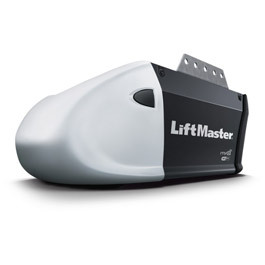 Steady Performance, Powerful Lift, Durable 1/2 HP motor. Enjoy years of reliable, maintenance-free service from the powerful yet ultra-quiet, AC motor Chain Drive System. Uses 75% less power in standby mode. Comes with 4-year motor and 1-year parts warranties. Has safety sensors that project a light beam across the garage door opening automatically reversing the door if anything interrupts the beam.